Vitens-Evides International officially began a public-private partnership with SAWACO in Ho Chi Minh City in January 2008. The project sought to improve the management of the water supply system and enhance distribution to the urban poor. Vitens-Evides International officially began a public-private partnership in Ho Chi Minh City in January 2008. Vitens-Evides International is supporting the water supply company SAWACO there until mid-2010 with the management and maintenance of the water production and the professionalisation of the distribution tasks. The partnership was established to address the challenges of water system leakage, to improve water quality, to raise production levels and enhance distribution, and to educate and train local staff.The project also includes a programme for providing house connections to the urban poor. Vitens is made up of more than 1,700 people bound together by their passion for water. They are continually working on producing, treating and supplying top-quality drinking water, because they know that 5.4 million customers are relying on them. On international projects, Vitens works closely together with another drinking water company, Evides. 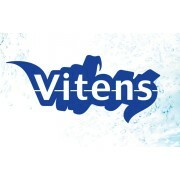 Together, the two drinking water companies founded Vitens-Evides International. Vitens-Evides International supports local water companies in developing countries to improve the drinking water supply. Projects to supply safe drinking water to more than 20 million people are currently underway in Ghana, Malawi, Mongolia, Mozambique, Suriname and Vietnam. In this way, Vitens-Evides International provides an important contribution to achieving the 7th Millennium Development Goal for 2015: halving the number of people worldwide that have no access to clean drinking water. The budget for international activities is two million euros per year; Vitens and Evides each contribute one million euros. In addition, Vitens-Evides International appeals to donors to support international water projects. The Water for Life foundation plays an important role in this. Vitens Evides International offers local water companies technical, operational and management support, both in the short term and longer term. The aim is to help water companies to become financially more healthy and to operate more efficiently with a minimum of water loss and non-revenues. In this way, we will be able to contribute to the improvement of drinking water supplies and sanitation in developing countries. We pursue this by entering into multiple-year partnerships with local companies. Vitens Evides International helps local management by appointing a Resident Project Manager alongside the local manager and by deploying short term staff with specialist expertise on specific assignments. By offering tailor-made solutions to our partners, we are able to strive for the best strategy and way of working for each company. Water Operator Partnerships (WOPs) are arrangements in which water companies cooperate and share their experience and knowledge on a not-for-profit basis. WOPs are promoted by the UN Secretary-General’s Advisory Board on Water and Sanitation (UNSGAB). The thought behind WOPs is that water utilities can learn from more experienced colleagues. By setting up a partnership, two water companies can team up and learn, without having to wait for external organisations to establish contacts and develop projects. Vitens Evides International prefers to cooperate with local water companies in developing or transition countries through a Water Operator Partnership. WOPs allow us to jointly assess the needs of the local water company and to design a flexible support programme targeting these needs. Vitens Evides International is in the position to develop WOPs at its own cost and to make substantial contributions towards their implementation. Although Vitens Evides International can contribute towards development of WOPs, it is evident that donor financing is required during the implementation phase.